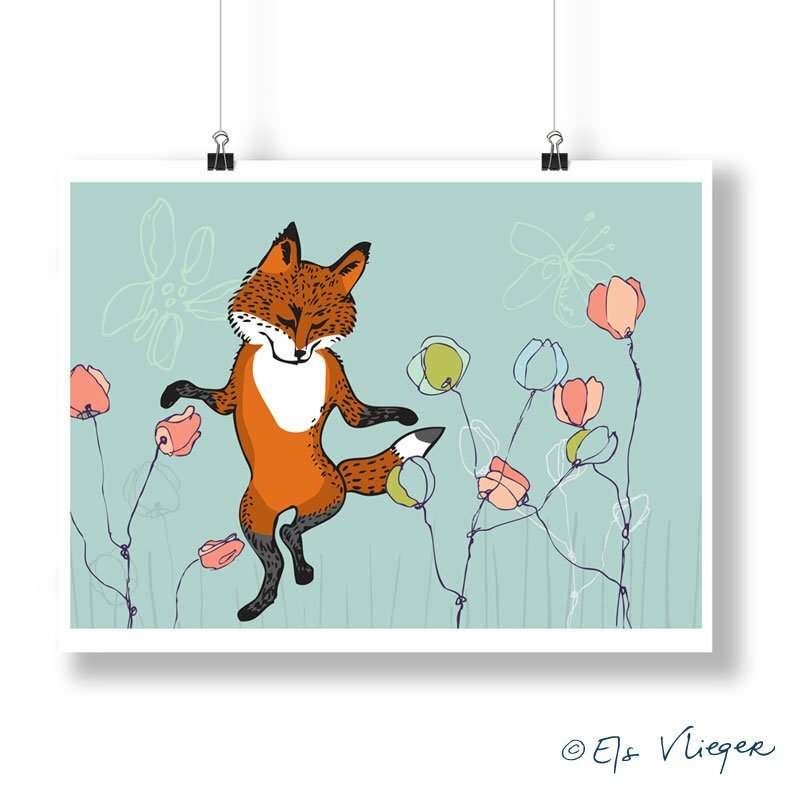 Dancing Fox was created with a chicken theme in mind. 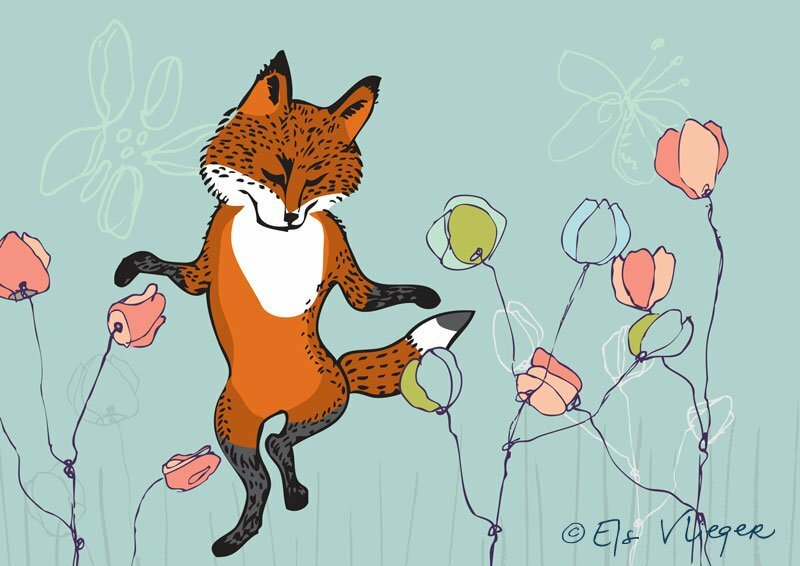 The fox had to be a rather contemplative and friendly critter, dancing in a field of flowers, pretty harmless for the chickens. 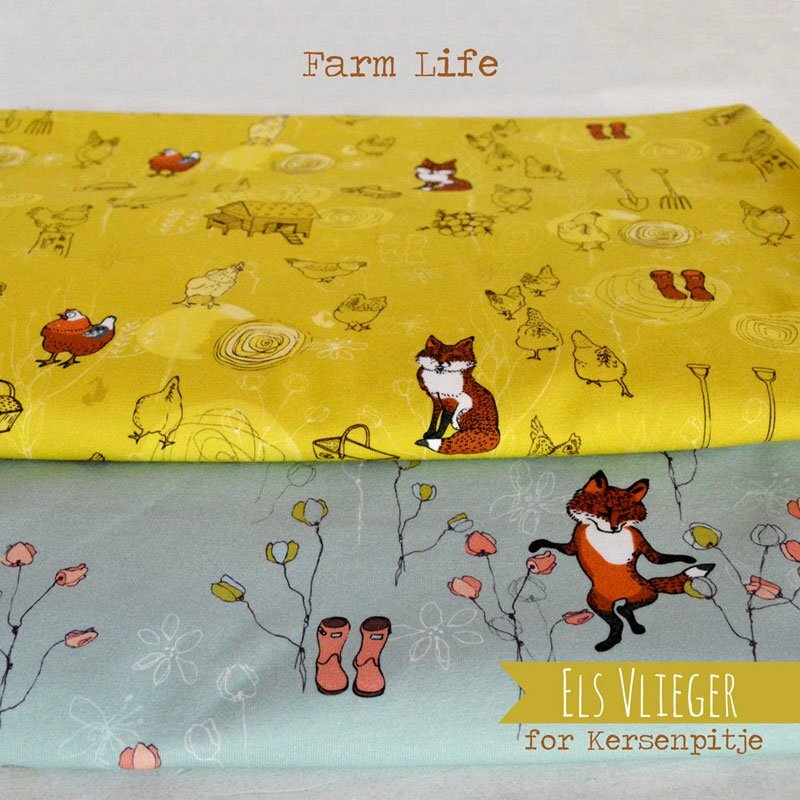 Mr. Fox later became the focal point of a textile pattern I created for Kersenpitje and is part of the Farm Life collection. This collection is available throughout Europe in several fabric webshops. 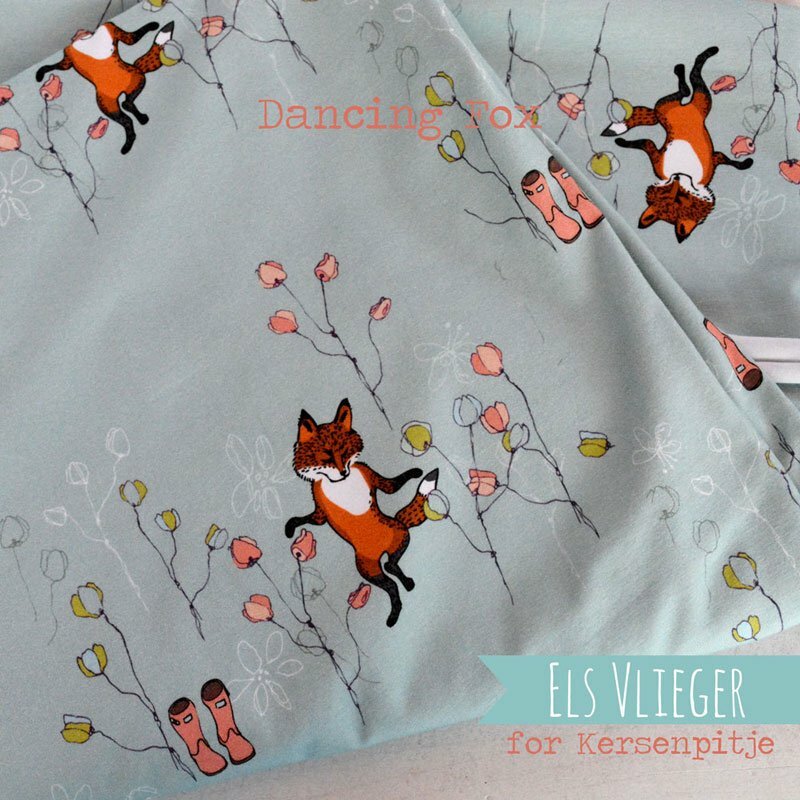 For wholesale information please contact Kersenpitje. 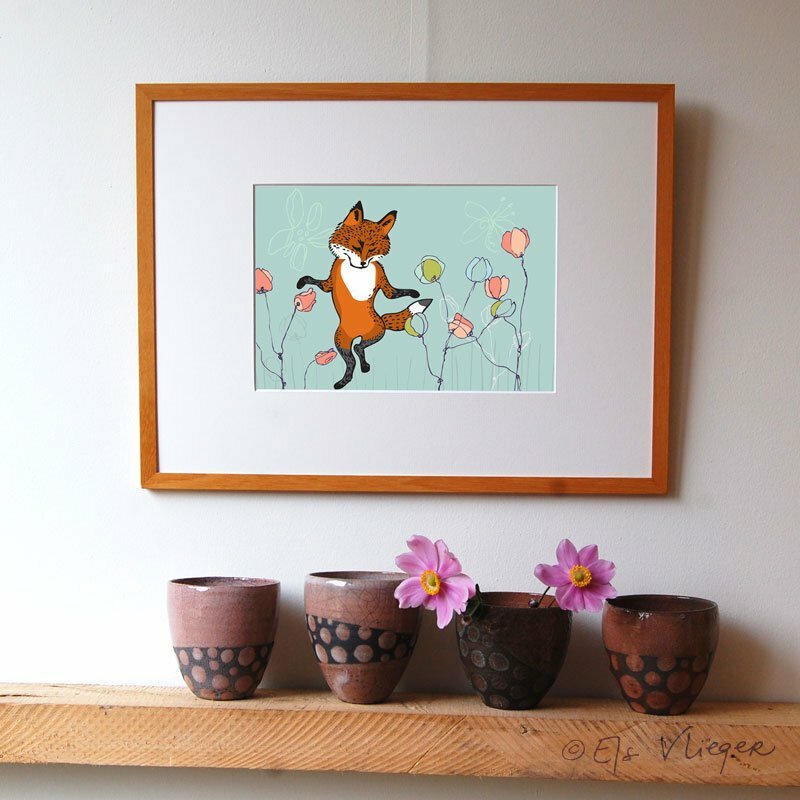 A high quality giclée print is available in my shop.